WWB Recruitment successfully climbed Mount Snowdon in Wales to raise cash for Forever Manchester. On team WWB were Leanne Boddy, Andrew Bourne, Simon Wooding, Amanda Hatton, Kerri-Ann Hargreaves, Russell Corrie, Ashraf Nour and Saj Akbar, who began the climb at 11am, returning safely to ground at 6.30pm after a well-deserved beer at the top of the summit. 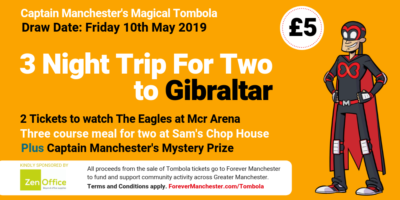 Forever Manchester would like to thank them for all of their efforts, and for putting in an incredible effort in order to raise cash for community groups in the Manchester area. Company Director, Andrew Bourne had told the group it would be an “easy” expedition, which wasn’t what it turned out to be. As a marathon runner, it seems the group found out the hard way that the director’s version of “easy” was very different to theirs! WWB have been fundraising for Forever Manchester since the beginning of this calendar year, and also help us out at our First Friday events.